Welcome home. This Condo is move in ready and fully furnished. 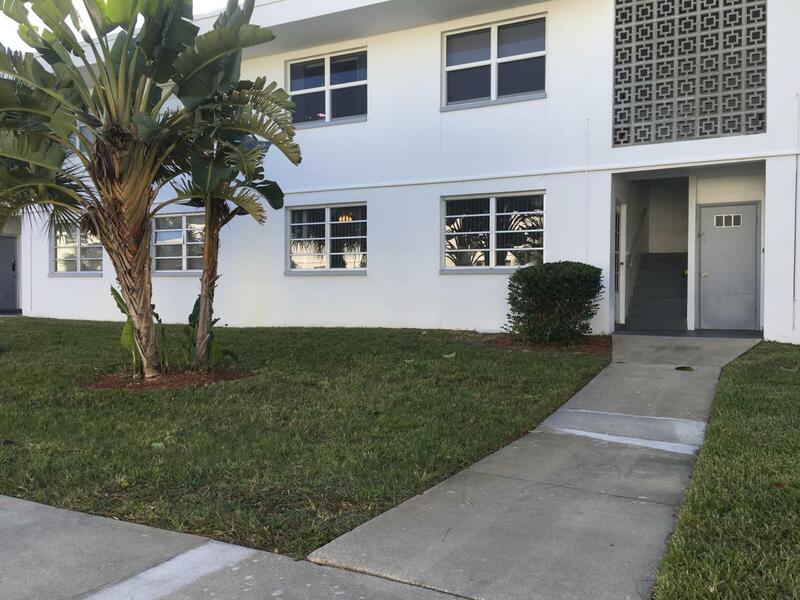 Great for an investor or someone looking for a turn key unit. Beautiful tile throughout, walk in shower with rain shower & standard wall mounted shower heads and ceiling fans in both bedrooms. The property is quiet and very well maintained, including the pool and shuffle board courts. Walking distance to the beach. Close proximity to Port Canaveral, Kennedy Space Center, Cocoa Beach Pier, shopping and much more.